My Newsagent Limited, Mynewsagent.co.uk Newsagents community social networking website - all about the My Newsagent social networking community website. Right up your street, all the news and views from the X Factor show. Get X magazine at all newsagents every Wednesday. 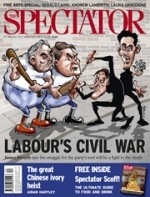 For over 180 years, The Spectator has been amusing, informing and infuriating its readers. What does your magazine do for you. The favourite daily newspaper of the UK. NOW AVAILABLE on a Sunday, all the latest daily news stories fresh off the press, hard hitting exclusives, the latest celebrity gossip, sport news and more. Ready for delivery 7 Days a Week. The UK's quality daily newspaper since 1785. The Times features news and editorial, Comment section with the main news, and world news. Business pages, The Register, obituaries, Court & Social section, and related material. The sport section and the world famous Times Crossword puzzle inside the back cover. The UK's quality broadsheet sunday newspaper since 1821. Containing the latest UK and world news, features such as technology, entertainment & theatre reviews, the Sunday Times Rich List, the Sunday Times Fast Track 100 and the Sunday Times Bestseller List plus more. With its unrivalled heritage and expertise, Radio Times is the essential guide to television and radio. Recommendations from Britain's top TV writers, editorial features and the best listings information. Heat magazine has spawned a generation of celebrity, lifestyle and gossip fanatics. Offering the best in entertainment and celebrity news every week. Famous for its unique editorial style. Autocar is one of the world's most recognised and respected motoring brands. Testing every car and reporting on every technological advancement. Doctor Who Adventures is a weekly magazine for young boys and girls who love Doctor Who. Immersing readers into the world of the Doctor. The World's No. 1 True-life weekly. Take a Break prides itself on having the best puzzles and competitions offering cash prizes, cars and holidays, pages on health and relationships, fashion, beauty and household tips. What Car?, the UK's biggest car-buying brand. What Car? has helped Britain's car buyers make purchasing decisions for more than 30 years, its tests are regarded as the most trusted source of new-car advice. Match of the Day magazine is the must-read title for all football-mad youngsters. Packed with star interviews, match results and hot football gossip, exciting posters, quizzes and competitions. The UK's straightest talking and most entertaining car magazine. Combining in-depth buying information with a mix of humour and a host of big-name writers, including the TV show's Jeremy Clarkson. From Beijing to Barcelona, Carlisle to Kathmandu, FourFourTwo has become one of football's most respected, trusted brands. Fans, players and industry figures alike know that when they pick up FourFourTwo magazine. BBC Good Food Magazine is a must have for everyone who loves cooking and eating. Full of mouth-watering ideas for quick everyday dishes, inspirational entertaining and other recipes you've ever dreamt of. TVChoice is the UK's top-selling consumer magazine. It is the TV listings magazine with all the best gossip, TV news and features, for the whole family. Stuff is the cutting-edge guide to gadgets, gear and technology and is Earth's most renowned gadget compendium. Inspirational, witty and friendly, it has become the best-selling gadget magazine in the world. Effective online communication with their customers, the challenge is made even more demanding by the growing changes in the way customers desire facilities to ease their busy schedules. All adverts placed on newsagent websites are postcode based and are shown on every newsagent website in the postcode area. The internet has been serving the needs of people for a long time now, people are using the internet to make purchases and manage their busy schedules on a daily basis. Costs and technological know-how leave newsagents in the unlikely position of being able to provide cost effective and functional online facilities for their customers. Mynewsagent.co.uk has been created to help newsagents step over this line and provide functional facilities online at no additional cost to their customers. Mynewsagent.co.uk is a community social networking website, each newsagent website is part of a local community. Is your newsagent using the system? Currently we are rolling out the facility to all 19,842 UK newsagents in our system, find your newsagents website to see if they are taking orders. 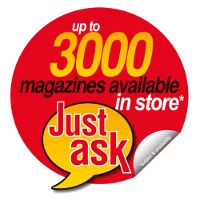 If you are waiting for your newsagent to start using their website the best thing you can do is contact them and tell them you wish to use the website. We are also contacting publishers encouraging them to add their full product range and supply the relevant images which will further enhance the product search facility. We will be regularly enhancing and adding to the facilities available at this website for the benefit of customers, newsagents, publishers and distributors. We want to listen to you, so if you have any suggestions contact us, we will listen and respond to all genuine suggestions.